Lake Michigan (and beyond) Boating Adventures: Hey we recognize that picture!! 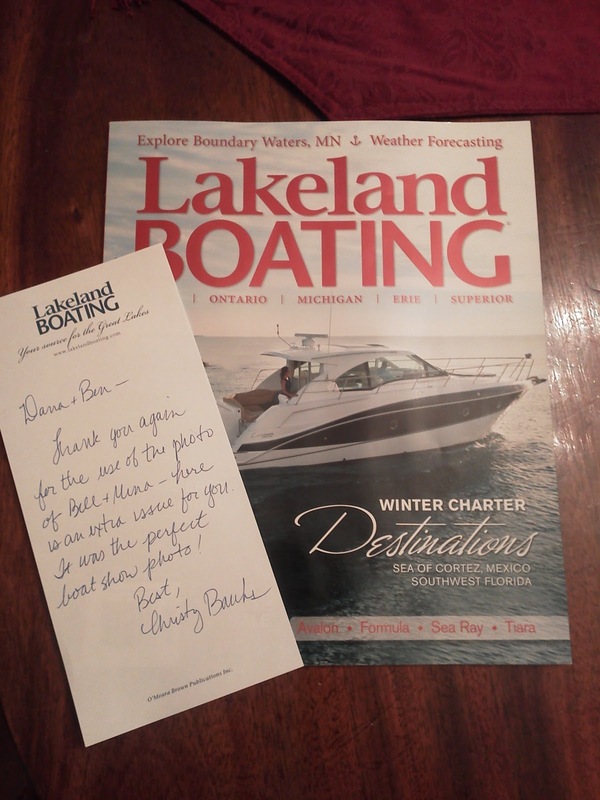 We were pleasantly surprised recently when we were contacted by Christy Baughs from Lakeland Boating magazine in regards to a picture we had posted on this blog. She informed us they were looking for a picture to put in their Calender of Events section for the upcoming boat shows and loved the picture we had posted of our friends Bill and Mina. Shortly after the January 2012 issue came out we received an extra copy of Lakeland Boating with a personalized note from Christy thanking us for use of the photo! 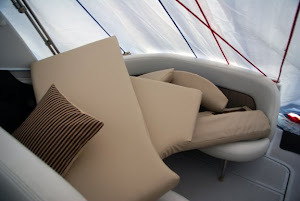 It is a real honor for us that someone from Lakeland boating found our blog. Can you believe we are actually listed as a contributor in the front of the magazine! 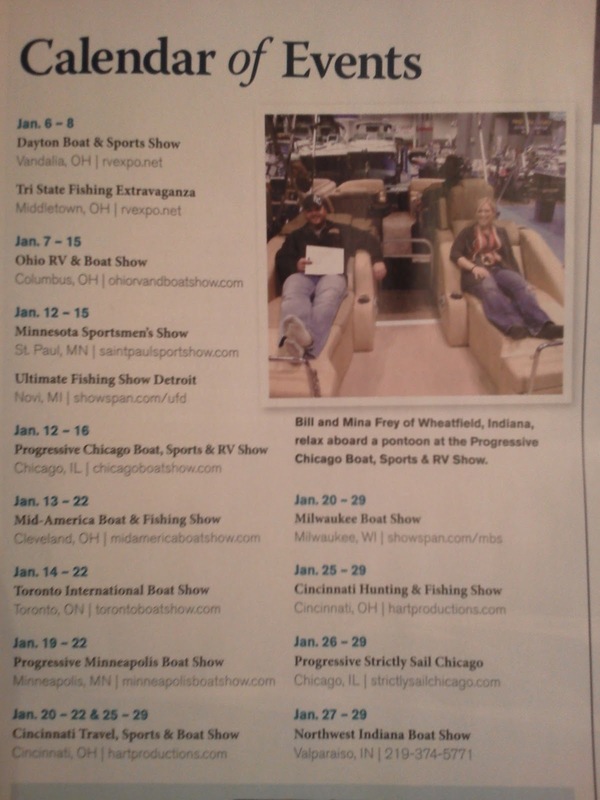 We didn't tell Bill and Mina about the picture until we went to their house for dinner, so we placed this years boat show tickets inside the magazine and handed it to them. The look on their faces was priceless when they noticed their picture. Thank you Christy!